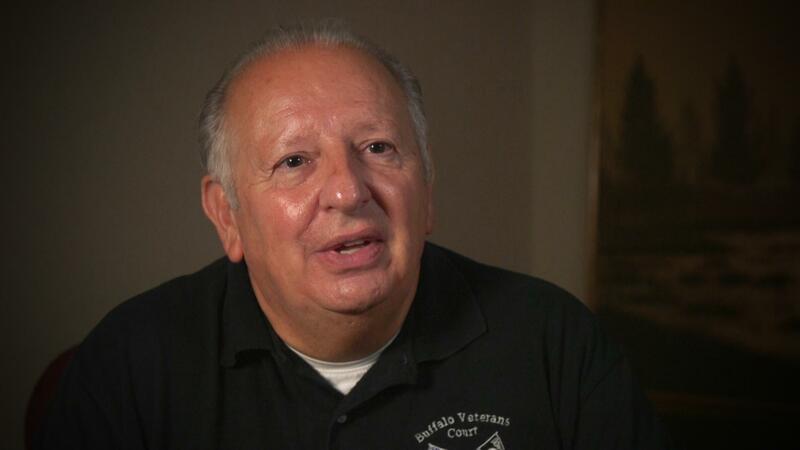 Vietnam Vet Pat Welch serves as a mentor in Veterans Treatment Court in Buffalo, NY. Modeled after drug and mental health courts, Veterans Treatment Court is an alternative to incarceration for veterans who find themselves in the criminal justice system. 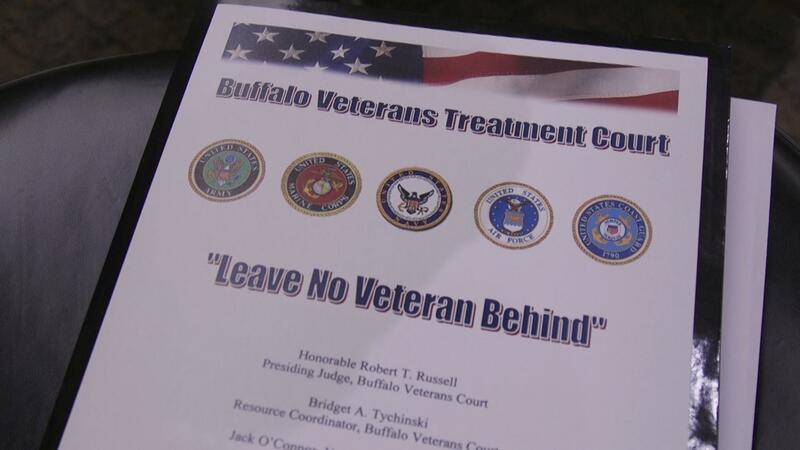 It was created in Buffalo, NY by Judge Robert T. Russell, Jr. and local Vietnam veterans. In addition to partnering with the Veterans Administration and other supporting agencies whose primary focus is to assist vets, a key component of the program is the implementation of veteran mentors like retired Marine Corps Sargent and Vietnam veteran Dr. Patrick Welch. Mentors act as a “battle buddy,” offering guidance and assistance as the participant works toward a stable and productive life. The numbers show real success and 90% of the participants complete the program successfully. And while all veterans can serve as mentors, Vietnam vets make up the majority, ensuring that no veteran is ever left behind. Dr. Welch reflects on his own experience as a combat wounded veteran in Vietnam. In this story, Dr. Welch talks about why he feels called to serve as a mentor, and how he sees this program changing lives. Since 2008, he’s also worked with courts nationwide training other veterans to become mentors. The Veterans Treatment Court is now modeled in nearly 350 courts across the country.